Welcome to the new official Rosecomb Bantam Club website. This site is for members & non-members of the club in providing news and information on this special breed. 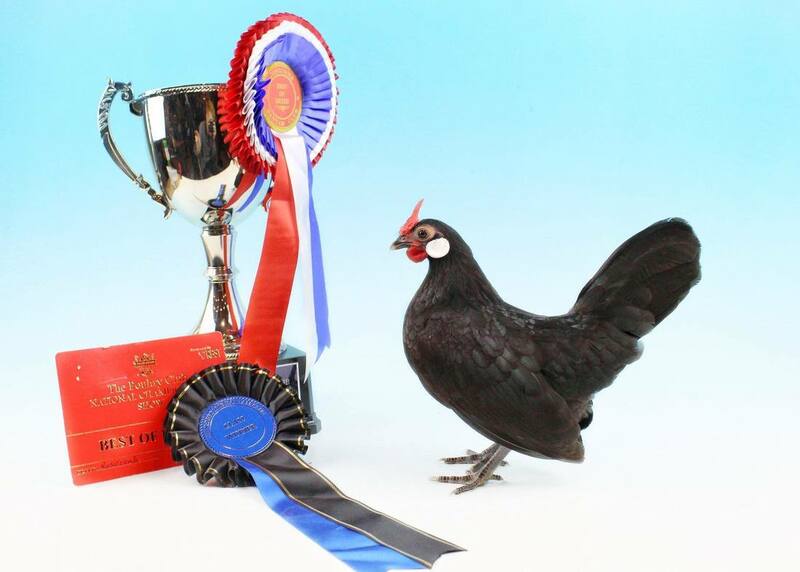 The Rosecomb is an old breed of bantam, which originates in Great Britain but little is known about the history of the breed. Earliest documents on the breed date back to 1483 where a man named John Buckton who owned the Angel Inn in Grantham raised black Rosecomb bantams he inherited the birds (from his father) indicating that the breed must have been in existence prior to 1483. The birds were described as having prominent combs and white lobes, two of the important characteristics of the breed. Documents said that King Richard the Third, who retained rooms at the Inn, aquired some birds making them popular with English gentry. The club was founded in 1959. David Mann awarded life membership - see Club News. At the recent AGM, the club voted to provide free membership to rosecomb fanciers under the age of 16. Please feel free to browse our Club Store page. You can buy your membership online along with a club badge & a keyring. The club welcomes Artie Rice as the new Chairman. Steve & Graham Hodge will be undertaking the Secretary role. Joe Merchant will retain the Treasurer role. You can now pay your annual subscription & purchase a club badge online using Paypal. See 'Key Contacts & Membership' page for details. The Club has a new email address: rosecombbantamclub@aol.com. Please feel free to send club news/results through.